Kira is currently on maternity leave. Please contact Ashley Clark. Kira joined the Patient Voices Network in March 2016 as an engagement leader for the South Island region. She has a background in health promotion, community engagement and project management, and has previously worked on initiatives related to employee wellness and safety in the health care workplace, prison health, reproductive mental health, and the integration of the arts into health-related care, research, and education. 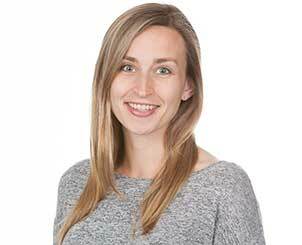 Kira holds a Master of Public Health from the University of British Columbia, a Bachelor of Science in Psychology from the University of Victoria, and the PMP designation from the Project Management Institute. In her other life, Kira works as a professional voice actor lending her speaking and singing voice to cartoons, film, and radio. Some of the cities and communities in Kira’s area are Chemanius, Cobble Hill, Duncan, Ladysmith, Langford, Saanich, Salt Spring Island, Shawnigan Lake, Sidney, Sooke, and Victoria. Se has worked with health care partners such as Beacon Community Services, BC Academic Health Science Network, Camosun College, Doctors of BC, Island Health, Ministry of Health, and University of Victoria. “When patient partners and health care providers collaborate, a giant disco ball is born! We all interact with, witness and perceive the health care system in different ways. Sometimes we can even hold opposing or conflicting views within ourselves! When patient partners and health care providers put their heads together around an issue, it’s like everyone shares a bunch of little mirrors, ways of looking at an issue, and then they all get glued together into a giant disco ball. The disco ball can brighten up a room (issue), shine proverbial light on previously darkened corners, and also help to show where people are alike in their concerns and perspectives. Considering all those mirrors together as a whole can help to visualize a problem, and potential solutions, in new ways.